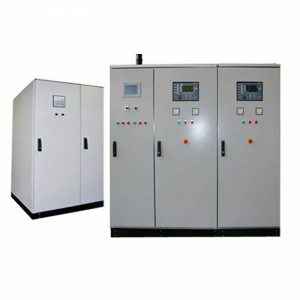 The low tension (LT) or low voltage (LV) panels are used after the power transformer for distribution of electrical power to the whole electrical installations. These panels are of different capacity and sizes. GAIN Engineering manufactures these panels with highest standards of quality. 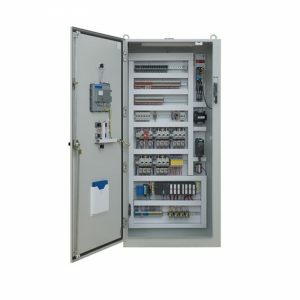 A distribution board (also known as panel board, breaker panel, or electric panel) is a component of an electricity supply system that divides an electrical power feed into subsidiary circuits, while providing a protective fuse or circuit breaker for each circuit in a common enclosure. GAIN Engineering’s custom-built distribution boards are available from 30A to 400A and 415V/240V/120V. Automatic mains failure (AMF) panels – also referred to as automatic transfer switch (ATS) panels – make the power switch to emergency standby generators in the event of a significant loss of mains power or total blackout. When the main supply is restored, the system automatically changes back and stops the generator. The standby generator will eventually shut down after a short cooling period. MCC stands for motor control center. It consists of feeders for motors and blowers. In most of the MCCs, auto/manual provision will be there. A motor control center (MCC) is an assembly of one or more enclosed sections having a common power bus and principally containing motor control units. Motor control centers are in modern practice a factory assembly of several motor starters. A motor control center can include variable frequency drives, programmable controllers and metering. They may also be the electrical service entrance for the building. We, at GAIN Engineering, develop and fabricate made-to measure low voltage Bus Duct systems. Our Bus Ducts are designed to meet the required voltage, ampere and fault level ratings. Copper bus bars are sized in accordance with the specified ratings to operate within IEC temperature rise limits. Joints are tin-plated. Provision for the bus expansion is furnished as required by the configuration and length of each system. Flexible connections are provided at the transformer end to absorb the vibrations. 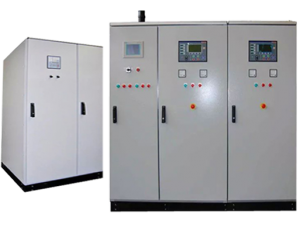 We design and manufacture PFI panels which are fully automatic in operation and can achieve desired power factor under fluctuating load conditions. We offer precision made PLC (programmable logic control) panels. 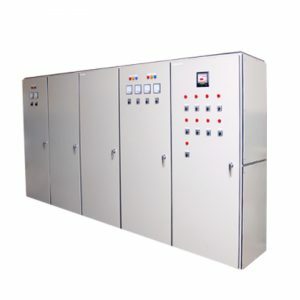 These PLC panels are largely used for industrial automation and process automation. They are programmed through SCADA software and logic which is downloaded as per the process requirements. Different variables are controlled according to the logic and different tag numbers are given to different motors, valves, sensors, etc. It is provided with a human-machine interface which displays the process and instrument diagram, and also the live status of process parameters. Synchronization panels are mainly designed and used to meet power system requirements. 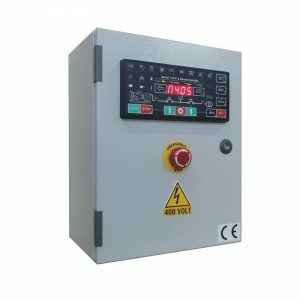 These panels function both manually and with an automatic synchronizing function for one or more generators or breakers. 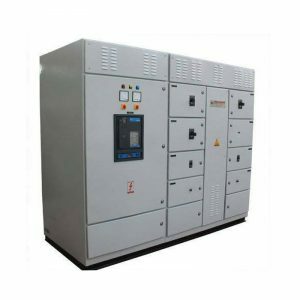 Our high quality range of synchronizing panels is available with capacities of connected generators up to 6300A. These panels are fabricated by our engineers using premium quality electrical components including copper bus bar, insulations, wires/cables, PVC channels, meters and switches. These panels can also be incorporated in the main LT Panels or in Sub Main Panels. GAIN Engineering Services (Private) Limited deals in electrical and automation services, engineering services in mechanical, civil and construction management. 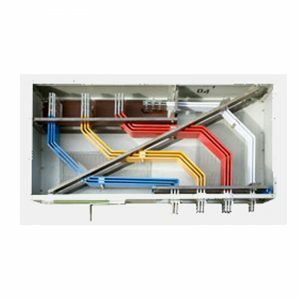 GAIN is also the manufacturer of various types of electrical panels used in residential and commercial properties, and infrastructure and industrial products.